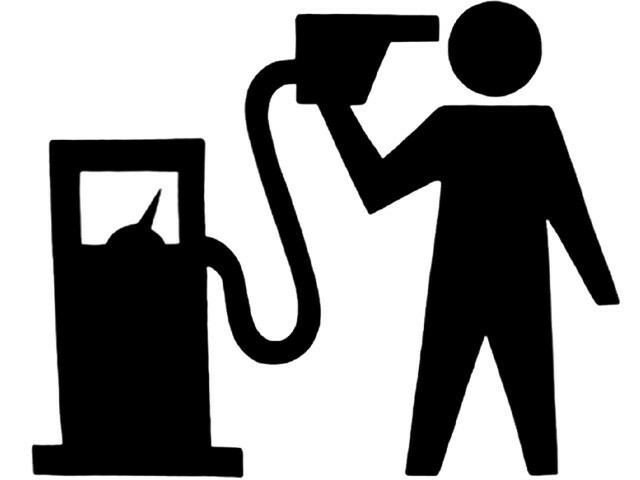 ISLAMABAD: Just over one week away from Eidul Fitr, the Nawaz Sharif government has dropped a petrol bomb on the 180 million countrymen by increasing the petrol prices by Rs2.73 per litre and high speed diesel (HSD) by Rs3 per litre, exposing them to another wave of the inflation from today (Thursday). The Oil and Gas Regulatory Authority (Ogra) had earlier sent a summary to the Ministry of Petroleum and Natural Resources suggesting not to increase the POL prices. The regulator had asked the government to reduce the petroleum levy to maintain the POL prices at the existing level. But the government, putting aside the recommendations of the regulator, increased the POL prices from Rs2.73 to Rs5.60 per litre and issued a notification on the hike in the POL prices with immediate effect. The Finance Ministry, however, reduced the petroleum levy of Rs1.50 per litre on high speed diesel and even then it increased the diesel prices by Rs3 per litre against the recommended increase of Rs4.50 per litre. The raise in diesel cost means that the prices of all the goods would increase as most of the transportation of all kinds of goods takes place on the diesel-run vehicles across the country. The increase in petrol prices by Rs2.73 per litre will also be having a severe impact on the poor masses as transporters who are unable to get CNG because of gas shortage in the country will charge more.The prices of high octane blending component (HOBC) has also been hiked by Rs5.60 per litre, light diesel oil (LDO) Rs3.95 per litre and kerosene oil by Rs4.99 per litre.